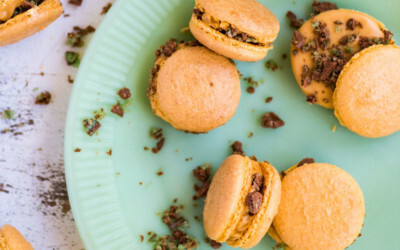 My go-to recipe for the perfect macarons, stuffed with chocolate ganache and crushed speckled eggs! 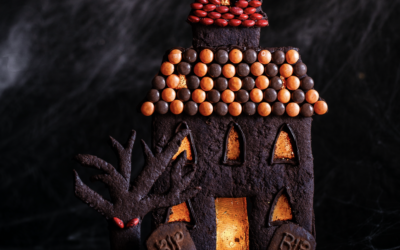 Be warned, these are as addictive as the sweets that inspired them! 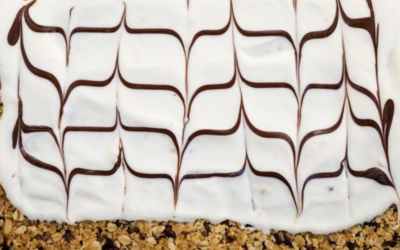 Old-fashioned oat and coconut crunchies studded with bitter cocoa nibs and topped with a fancy feathered white and milk chocolate topping! 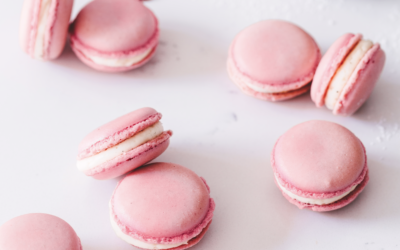 Every baker has dreams of the perfect macaron with glossy shells and iconic feet. 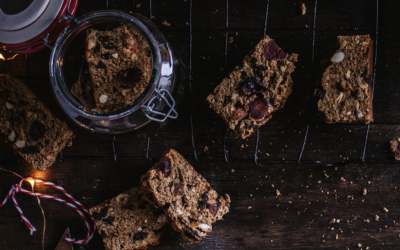 My recipe will help you do just that! 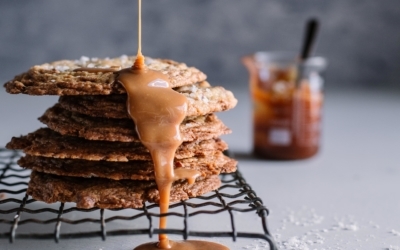 These internet-famous caramelised white chocolate chip pan-bang cookies are the perfect combination of salty and sweet – they’re also ridiculously good looking! 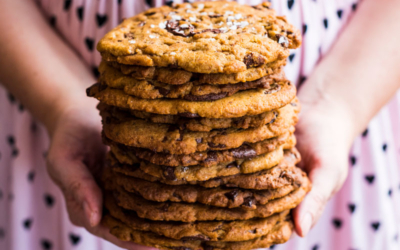 These Giant Salted Tahini Chocolate Chip Cookies are crunchy on the edges, soft in the middle, have pockets of melted chocolate and a salty hit from tahini. 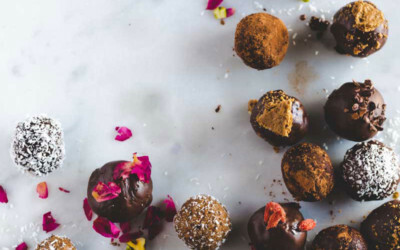 With only a handful of ingredients these chocolate espresso bliss balls can be made with or without dates – either way, they’re the perfect breakfast or afternoon pick-me-up! 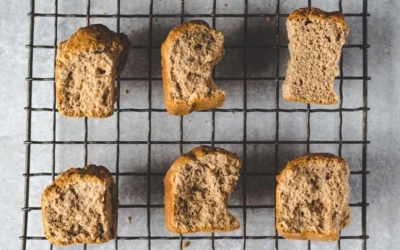 These Maltabella rusks are a twist on a classic South African bake, except my version is made with amasi and maltabella porridge. Perfect dunked into a cup of rooibos tea! 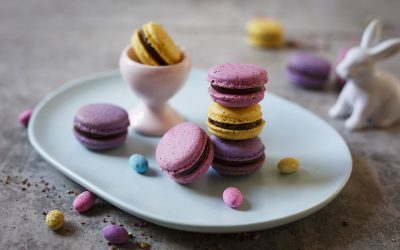 Five-star pastry chefs share their tips and tricks on how to make the perfect macarons – and some of their advice will surprise you!